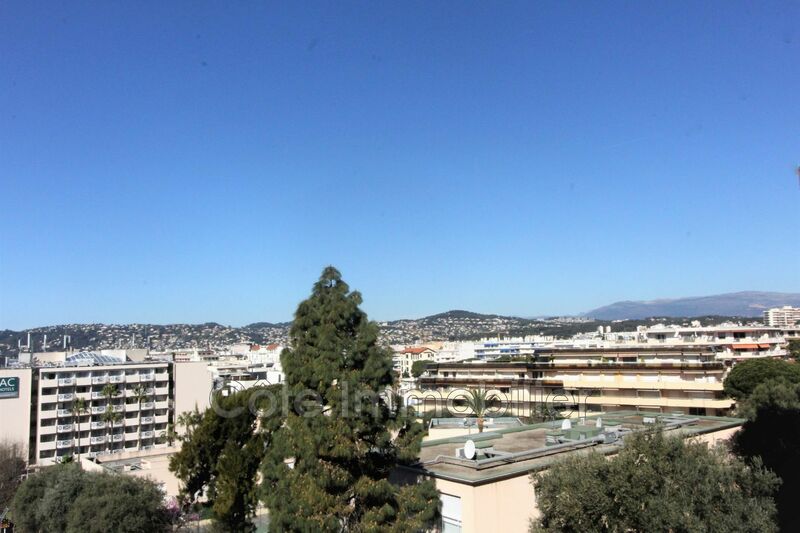 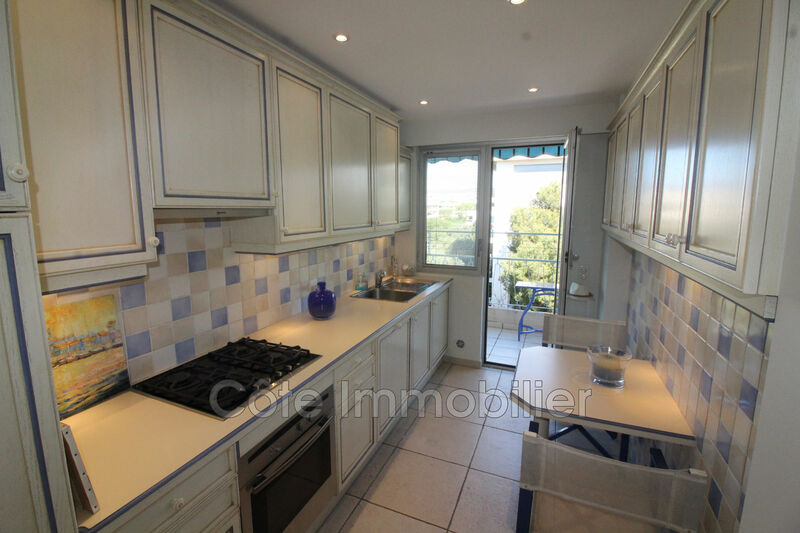 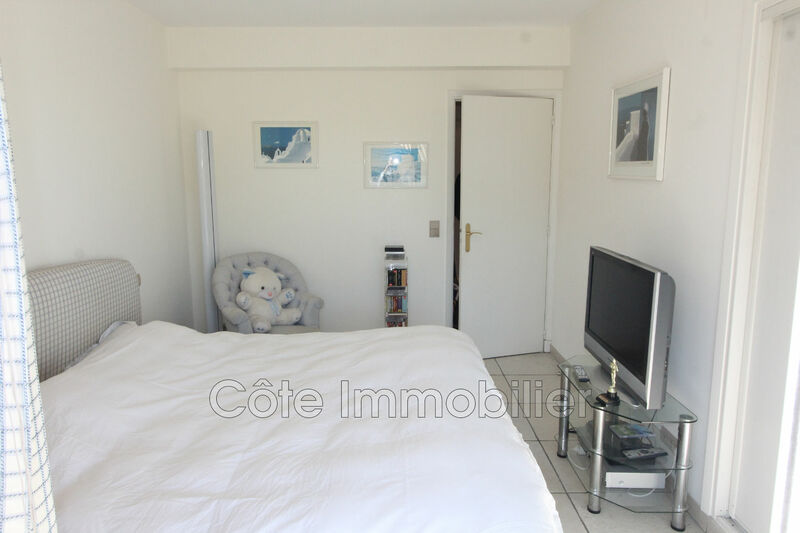 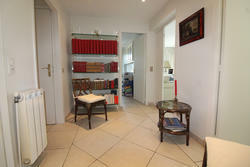 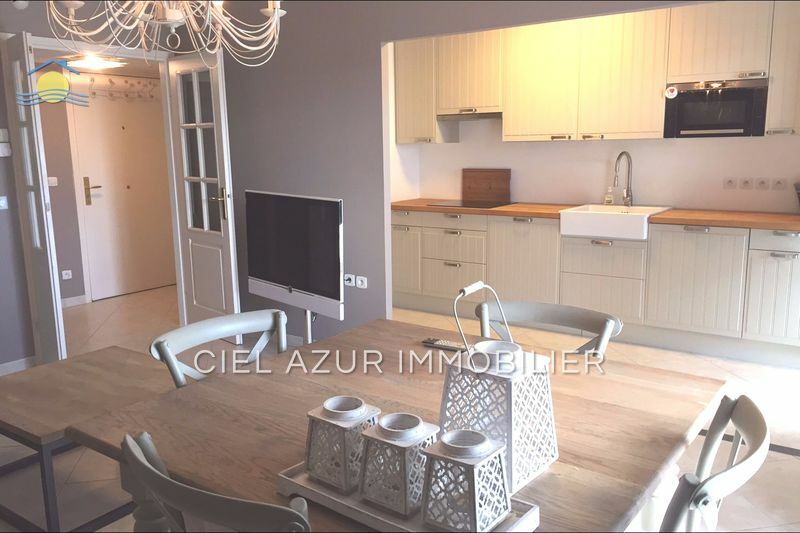 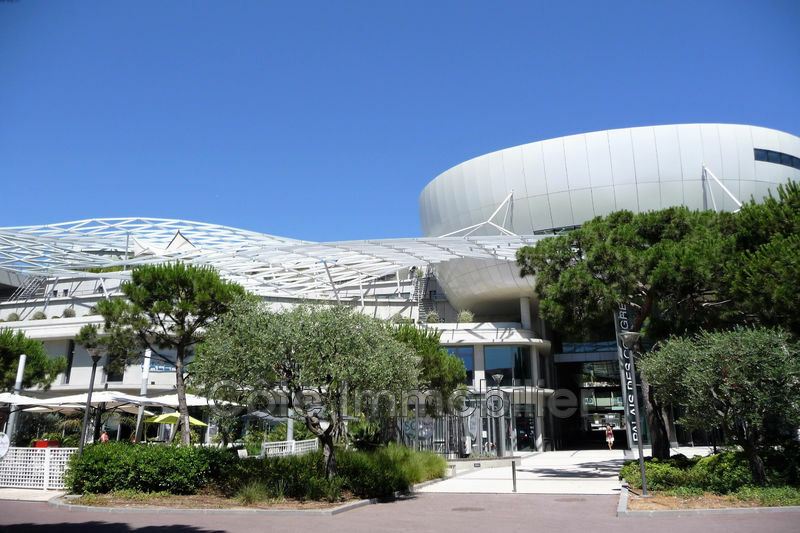 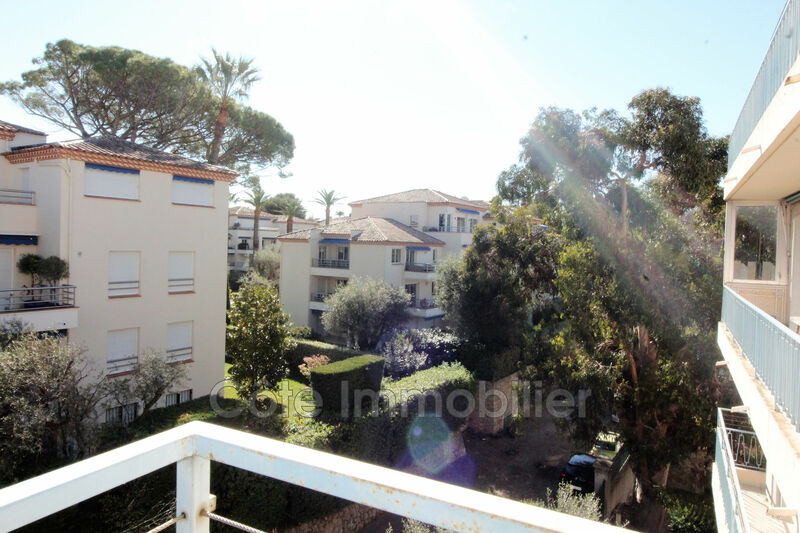 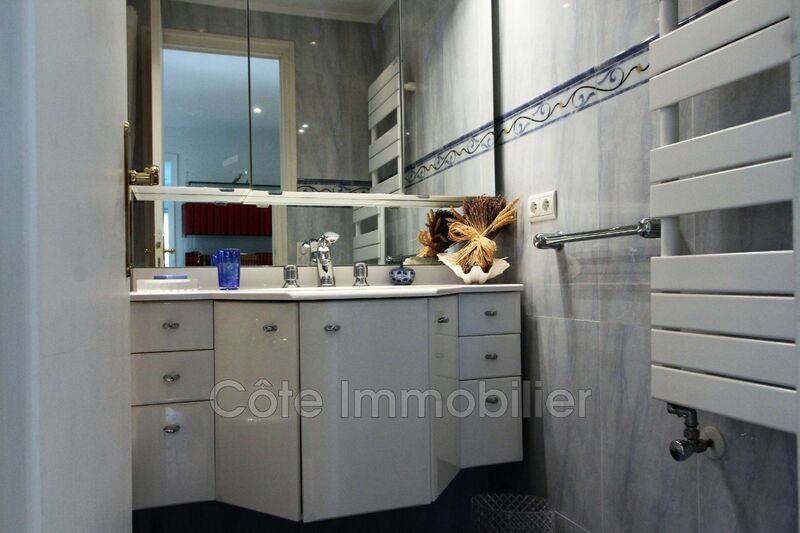 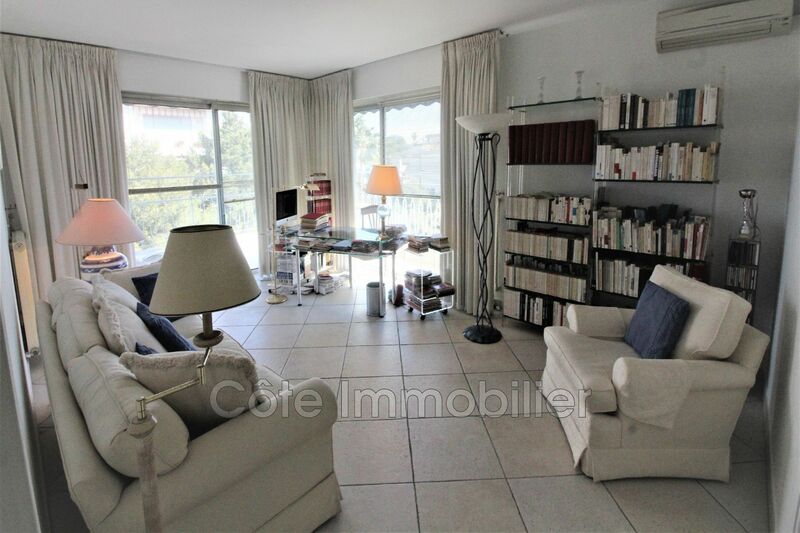 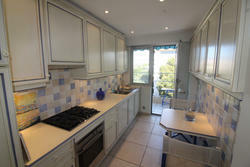 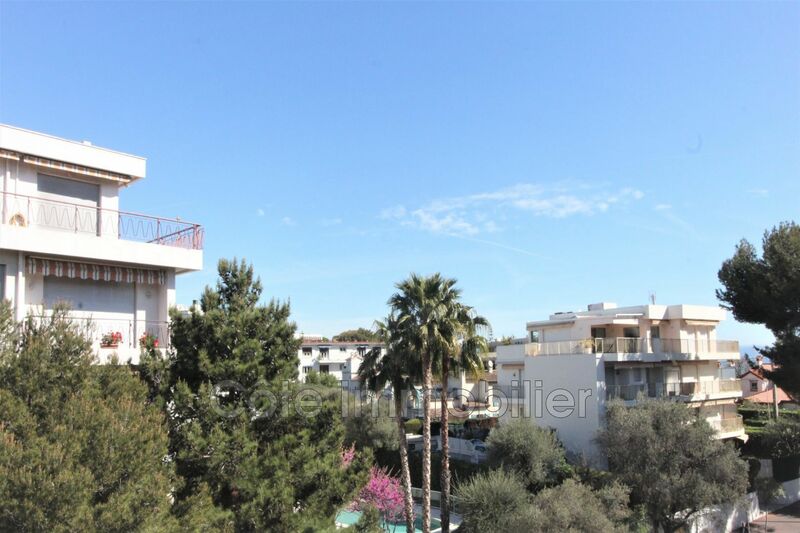 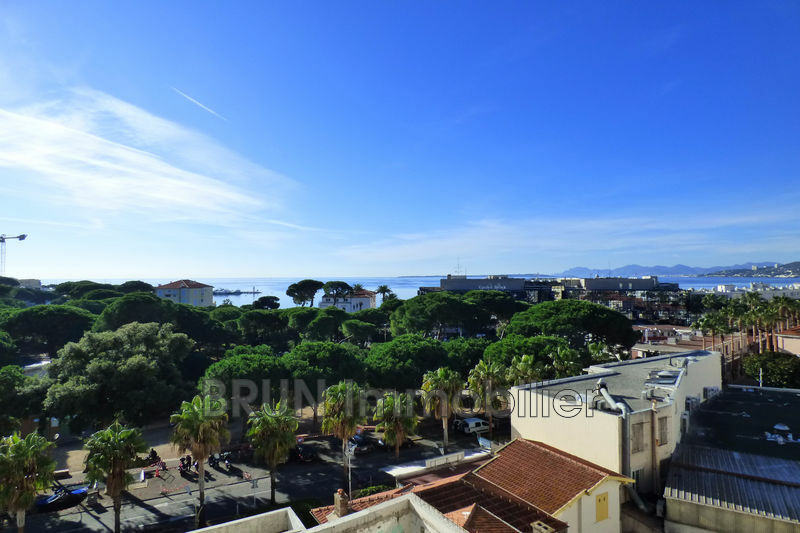 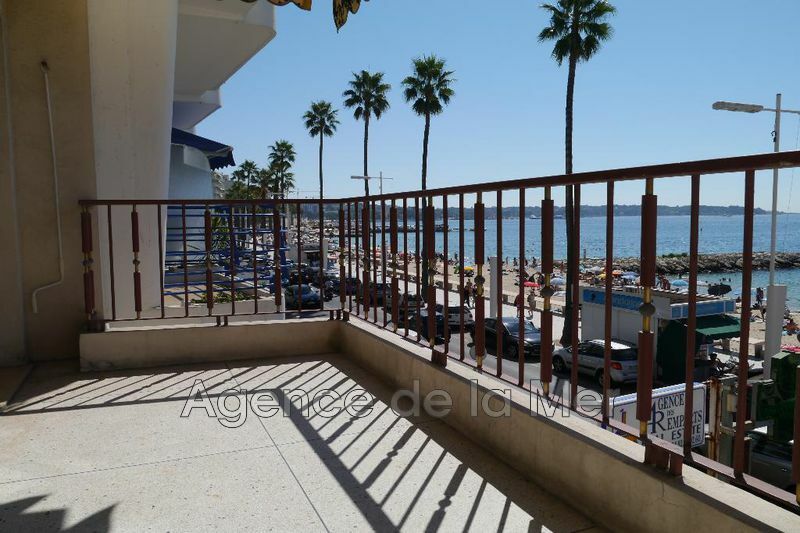 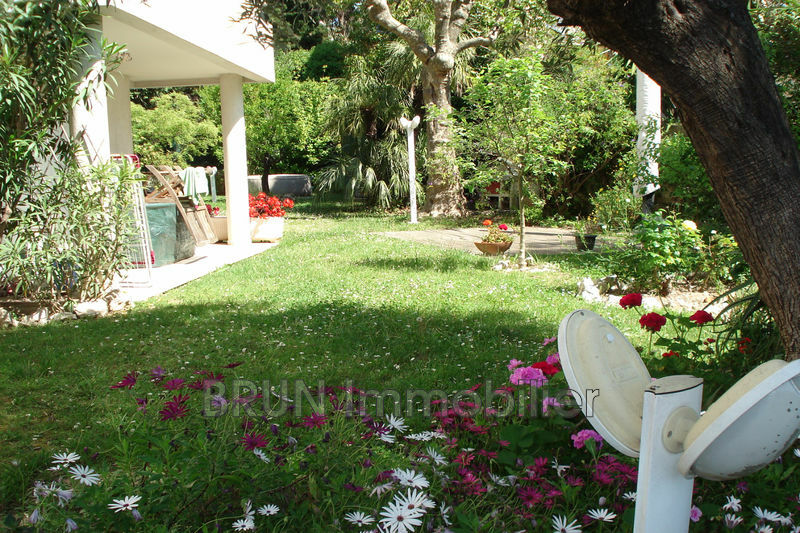 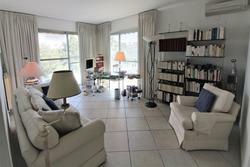 JUAN LES PINS, PINEDE, a few steps from the convention center and shops, in a small condominium with swimming pool, very comfortable 3 rooms crossing of 95m ² in high floor. 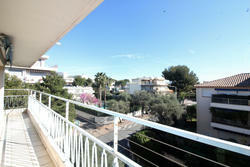 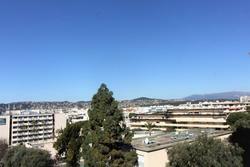 It enjoys a beautiful view with a deep terrace facing SOUTH WEST quiet. 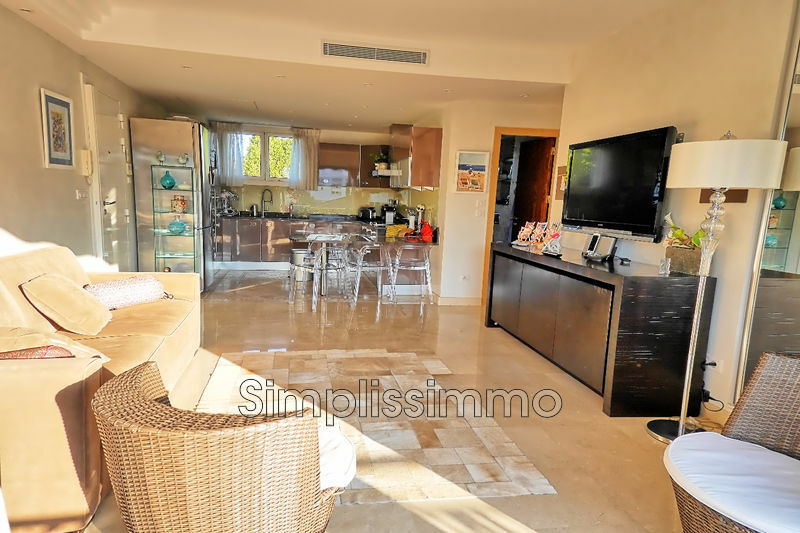 It includes an entrance hall opening onto a large living room with fitted kitchen, a separate sleeping area with 2 large bedrooms and each with its own bathroom. 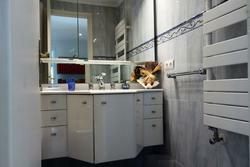 A large dressing room completes its comfort. 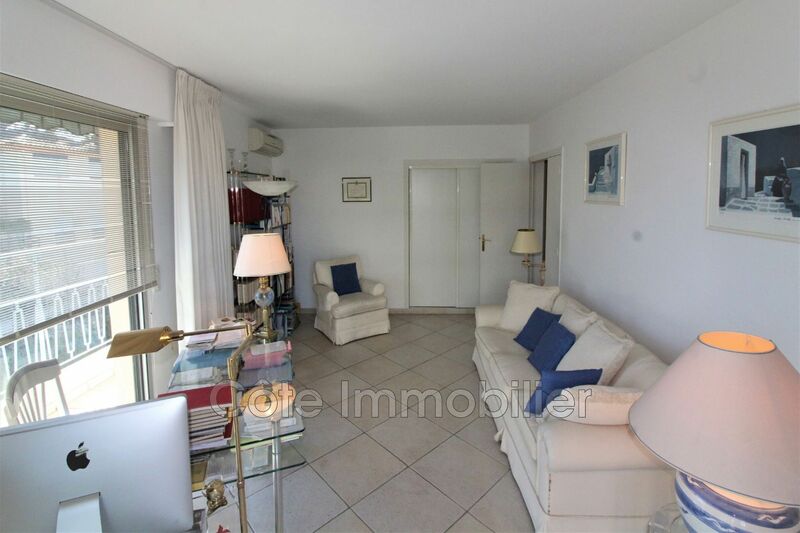 Sold with a garage and a cellar.